Right after I got an iPad as my birthday present, I heard the news of the death of Steve Jobs. To be honest, I wasn’t a big fan of Apple as everyone in Shanghai is using iPhone and I want something unique, but I’m in love with my iPad after playing it for a couple of days as it’s so powerful and it makes my work and life so much fun and efficient. Apart from the product itself, I truly admire Steve Jobs as a great person. When asked why Steve Jobs was important to him, he said he really appreciated Jobs’s concept of following one’s heart. Jobs addressed at the commencement of Stanford University in 2005 that don’t let the noise of others’ opinions drown out your own inner voice. And most importantly, have the courage to follow your heart and intuition. However, as Chinese, we are so used to be taught what to do and have others arranged life for us. Our parents choose which school we go to, which job to apply for and who we should marry. It’s sort of Chinese tradition that parents or higher authorities can always give right direction in our life. Thus, sometimes it’s really difficult to follow our hearts. But I think it’s going to be changed. Apple is so popular in China. 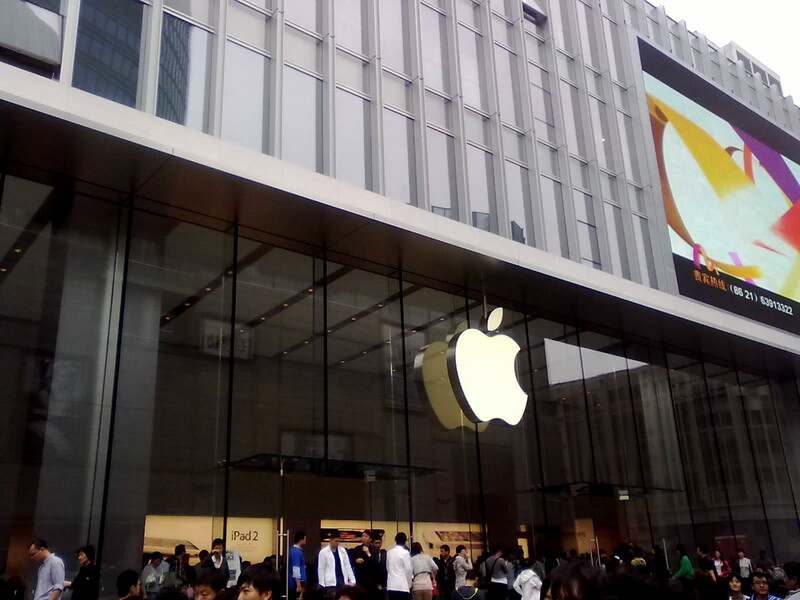 Chinese consumers have become the most adoring and loyal fans of Apple. It’s relatively a new brand to China but in the second quarter of this year, Apple sold nearly $4 billion worth of products here. The death of Jobs quickly captured the attention in public especially on the Internet. Over 20 million posts on Weibo mourned for Jobs or quoted his famous remarks. More and more of us are learning the ideas from Jobs and inspired by this innovation. Think differently. Netizens on Weibo saying that the best way to remember Jobs is to carry on his spirits. Stay hungry, stay foolish. It’s easier said than done. The education system in China isn’t suitable for talents like Jobs. If he was born and raised here, he wouldn’t be the same man who changed the world. Chinese education doesn’t encourage students to be innovative. It’s not the cradle of talents. Because of the exam-oriented and single-answer education system, we don’t have someone like Jobs in China yet and it will probably take a long time to realize it. But we need to see the essence of Apple products which is to combine technology with humanity. The common mistake that Chinese entrepreneurs always makes is that they don’t put users first. Technology serves people and create experience. I’m sure there are IT companies that are more innovative than Apple, but few of them are able to define the purpose and the worth of high technology. That’s what we should learn from Jobs. I hope someday in the near future, China will be a creator instead of a copycat. It will be the best way to remember Steve Jobs.